Join these authors and illustrators at the Los Angeles Times Festival of Books SCBWI LA booth. This year we are booth #831 on Child’s Way. Buy books and art, get autographs, and enjoy one of the largest celebrations of books in the country. We’ll see you at USC, April 13th & 14th. Insider tip: don’t drive. Parking is impossible. Take the train! Glenda Armand’s first book, Love Twelve Miles Long, received Lee and Low Books’ New Voices Award. It tells the story of young Frederick Douglass on a special night. 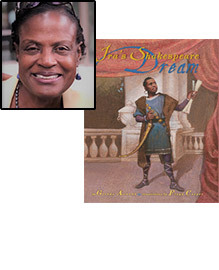 Her second book, Ira’s Shakespeare Dream, is about the nineteenth century, African American Shakespearean actor, Ira Aldridge. When not writing or gardening, Glenda is a middle school librarian. Jorjeana Marie is a storyteller. Whether it’s as a writer for Disney’s “Mickey and the Roadster Racers”, as a voice actress enacting all the roles in the “New Nancy Drew Diaries” (where Nancy now uses GPS to find her criminals and spends her spare time Googling herself!) 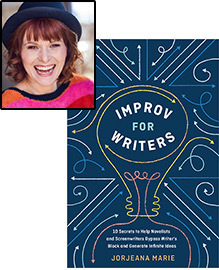 or as a stand-up comedian touring the nation at The Improv and Catch a Rising Star Comedy Clubs, or as a produced playwright in NYC-she focuses on the fun and funny. 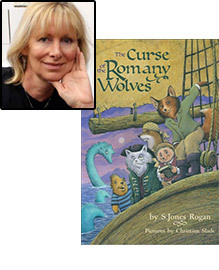 As an award-winning narrator of over 250 books, Jorjeana’s narrative skills have earned her multiple Earphones awards and a prestigious Audie Award. 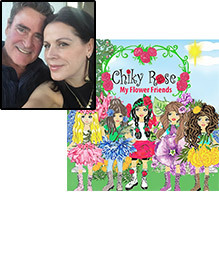 Alva Sachs is the founder of Three Wishes Publishing Company. She is a former elementary school teacher with sixteen years of classroom experience and a Master’s Degree in Education. 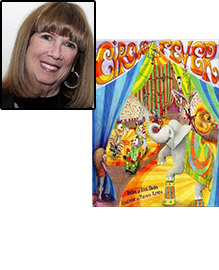 Alva’s award-winning titles include Circus Fever, Dancing Dreidels, I’m 5, Dear Master Dragon and On Your Mark, Get Set Go! Her awards range from 5 Star Reviews from Reader’s Favorite, National Indie Excellence Awards, Creative Child Magazine, USA Best Books. International Book Award, Eric Hoffer for Excellence in Small Press Indie Publishing, Story Monster Dragonfly Winner. Alva is an educator, consultant, speaker, & presenter. She has had the privilege of speaking & sharing her expertise at numerous venues, meetings, conferences, bookstores, schools, & libraries. Alva writes stories to engage, excite, & empower young children at an early age for the shear joy of reading. Alva serves as President on the Board of Reading Is Fundamental of Southern California, to support literacy. Hello, My name is Maggie Meza-Bermudez and this is my husband Roberto Bermudez. The idea of writing has existed in our minds for a very long time, but the timing was not right until now. We are delighted to bring to you the fun family stories of Pably and Me/Pably y Yo. Pably and Me / Pably y Yo are stories based on my family life. My Father Mr. Alby was a widower left with 9 children to raise. He managed to make life fun, adventurous but most importantly, loving. In the stories of Pably and Me / Pably y Yo, Mr. Alby gives the big responsibility of taking care of the family’s youngest child “Pably” to the youngest girl Magy. Magy is very happy to be the one in charge of Pably but she is a very busy young girl with many things to do and always needs help with Pably. Magy takes Pably to many fun adventures but always with the help of all her siblings, teachers or the people of the town where they live. My formal education is in Fashion Design, however I am currently the Director of Design and Development in the toy industry. My husband Roberto is an executive in the Wine and Spirits industry with formal education in law. 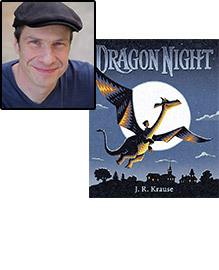 Dragon Night is the new picture book by writer and award-winning illustrator J. R. Krause. Embark on a dazzling nighttime journey with a magical dragon in this heartwarming friendship story about facing fears and helping others. Dragon Night is an Indie Next Winter 2018-19 selection. J. R. Krause is featured in the current issue of BookPage. “An engaging and beautifully illustrated book about conquering one’s fears and friendship.” —School Library Journal. S. Jones Rogan has served on the Los Angeles Region board as Registration Coordinator, Workshop Coordinator, Assistant Regional Advisor, and now Co-Regional Advisor. She was the recipient of the Sue Alexander Service and Encouragement Award in 2013. S. Jones Rogan currently has two novels with Alfred A. Knopf, one of which was listed in New York Public Library’s 100 Best Books for Reading and Sharing, and earned a nomination for the Arizona State Reader’s Award. After years of globetrotting, she settled in California and now shares her love of children’s literature with her students at an LAUSD Elementary School Library. Brenda Scott Royce is a lifelong lover of beasts and books—and whenever possible her work combines the two. She has written books about animals for the ASPCA, Animal Planet, and the Smithsonian Institution, including recent titles about dinosaurs, horses, and sharks. 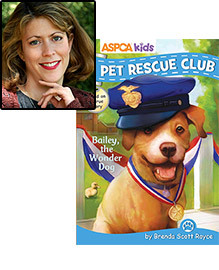 Children’s fiction includes two books in the ASPCA’s Pet Rescue Club series — Champion’s New Shoes and Bailey the Wonder Dog; and The Date (Darby Creek, 2019), about a teen getting a second chance at romance. Brenda’s new ASPCA series PAW Pals, about kids and service animals, debuts in May. Her short story Alphabet Games won Grand Prize in the 2015 Writers Digest Writing Competition. 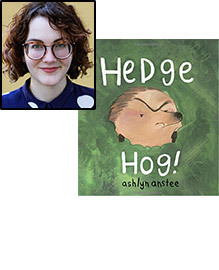 Ashlyn Anstee is an author-illustrator of 3 picture books (Are We There, Yeti?, No, No, Gnome!, and Hedgehog!). She also works in animation for places like Nickelodeon and Netflix. Once, she ate a whole pie, all by herself. & your local indie bookstore. Ruining giraffes. Escaping hot lava. Dancing alligators. Whisper tickles and whisker tickles. Yellow umbrellas. The Statue of Liberty as a toddler. 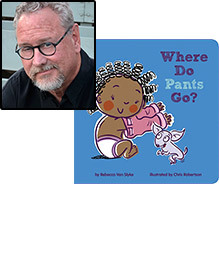 These are just a few of the fun and engaging topics tackled by Chris Robertson in the wide array of his children’s picture books. Here’s an interview I did with Nick Patton’s podcast, PICTUREBOOKING. 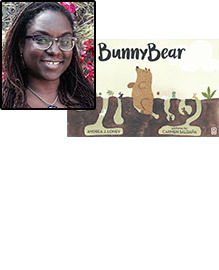 Andrea J. Loney is an award-winning author of children’s picture books. Her works include Take a Picture of Me, James VanDerZee (Lee & Low Books 2017 and an NAACP New Image Award Nominee), Bunnybear (Albert Whitman & Company 2017 and selected for the ALA Rainbow List), and Double Bass Blues (Random House Knopf October 2019). After receiving an MFA in Dramatic Writing at NYU, she ran away with a circus, then she joined the Walt Disney Company. Currently a computer science instructor at a LA Trade Tech College, she’s also a 2nd grade reader/coordinator/curriculum development specialist for ReadingToKids.org. Andrea has been a volunteer for We Need Diverse Books, and is on the board of the Children’s Literature Council of Southern California. She lives in Inglewood with her towering stacks of picture books, her devoted family, and their incredibly spoiled pets. Learn more by following andreajloney on Twitter, Pinterest, or Instagram.